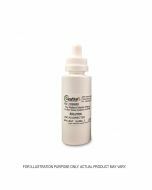 Our expert compounding pharmacists compound pharmaceutical grade Biotin USP (D-Biotin, Vitamin-H) which is a highly concetrated and purified form of Biotin called D-Biotin. 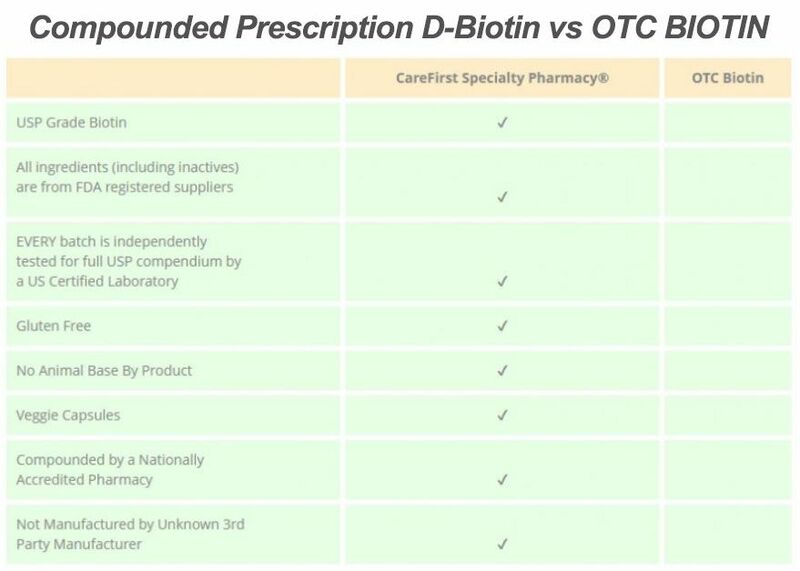 D-Biotin is highly biovailable and more easily absorbed by the body compared to over the counter biotin nutraceutical versions. Please contact us for additional information. Contact us today to discuss ways we can work with your doctor to compound a Biotin regimen that will work for your needs. Biotin goes by several other names: vitamin H, vitamin B7, and coenzyme R. Biotin is an essential molecule to biological processes which cannot be produced in the body. Like all vitamins, it must be ingested in the diet. Common sources of biotin include leafy green vegetables, peanuts, saskatoon berries, and raw egg yolk. Egg whites, however, contain the protein avidin, which binds very tightly to biotin, reducing its ability to be absorbed in the gut. 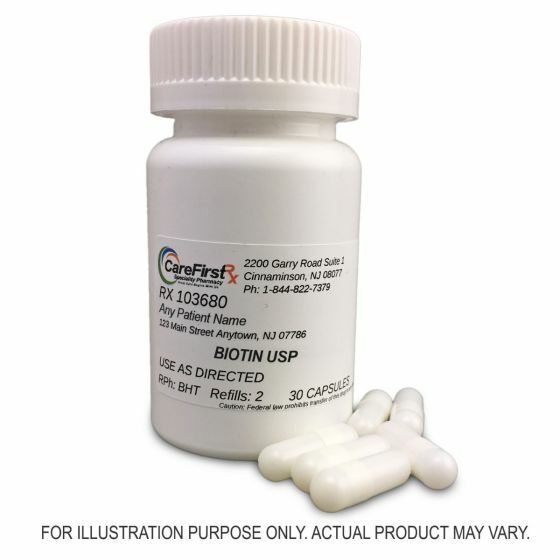 The letters “USP” after Biotin refer to the United States Pharmacopeia: a non-governmental regulatory entity which identifies and applies standards and references for drug products used in the United States and in other countries. By receiving a product with “USP” after the name, you can be assured the highest quality standards were used in its formulation. What is Biotin’s Role in The Body? Biotin is a cofactor for four essential enzymes in the human body which help the body build fatty acids from smaller molecular building blocks. Without biotin these enzymes cannot function. In a biotin deficient state, symptoms can include skin rash, brittle hair, and hair loss (alopecia). Neurological symptoms, including depression, lethargy, hallucinations, and paresthesia of the extremities, are also associated with biotin deficiency. This may be attributed to biotin’s role in fatty acid oxidation which is profusely required in the brain. Biotin has recently been identified as a potential therapy for multiple sclerosis patients. When given at very high doses of 300 milligrams daily (the adequate daily intake is just 30 micrograms), it has been shown to significantly improve symptoms of primary progressive and secondary progressive multiple sclerosis. Mock DM. Biotin. In: Shils M, Shike M. (2006). Modern nutrition in health and disease (10th ed., 50th anniversary ed.). Philadelphia: Lippincott Williams & Wilkins. Biotin. Lexi-Drugs. Lexicomp. Wolters Kluwer Health, Inc. Riverwoods, IL. Available at: http://online.lexi.com. Accessed July 23, 2018. Bell, A. What the letters "USP" mean on the label of your medicine. Retrieved from https://qualitymatters.usp.org/ Accessed July 23, 2018. Chataway J. Biotin in progressive multiple sclerosis: A new lead? Mult Scler 2016;22(13):1640-41.